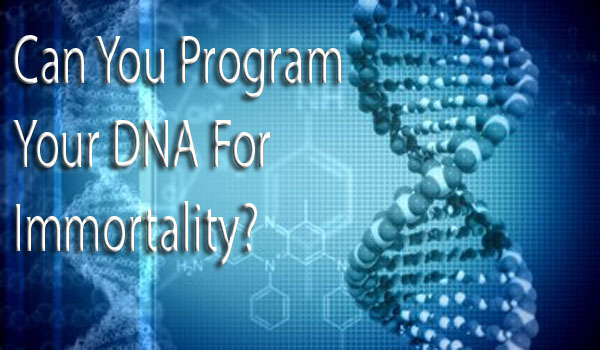 Pakalert Press » Can You Program Your DNA For Immortality? Every day we hear about the rising rates of illness and young people dying from diseases that use2d to be only for the old. At the same time, we read about the possibility of real immortality. Considering aging often means illness, hardship and pain, we come to the conclusion that we have had enough of life, or at least, this kind of life. So….do we really want to live forever? The ancients, as in the tales of Gilgamesh and Jason and the Argonauts, went on quests for immortality and the secret of eternal life. The Gods are said to be immortal. The Old Testament describes our ancestors as regularly living over 600 years, sometimes up to almost 1000 years. The current paradigm and fallacy of mainstream medicine is that it is viewed as a machine: this thing we use to carry out our desires. Who we are and what we do to with the body has little bearing on what happens to it. Illness is either primarily a random event or a genetic inevitability, so it comes down to statistics to quell our fears. It means we can safely dismiss any idea of our mind or lifestyle affecting our health; in other words, we have no responsibility towards ourselves. A study compared the effects of positive thinking on long term outcome of illness, found that positive thinking has no effect, but long term survival rates are much greater in those with a positive attitude. In other words, just thinking happy thoughts has no effect, but a positive view of life has the desired effect. Positive thinking is our surface thoughts, while the second is takes into account deeply held beliefs, on both a conscious and unconscious level. Health means reprogramming our belief systems, and removing the effects of all those things that led us to hold negative views, emotions and behaviors. Your thoughts change your DNA! Thirty years ago, Louise Hay described how our thought/feeling patterns relate to specific illnesses. More recently, Dr. Candace Pert , formerly with N.I.H., showed exactly how this happens. 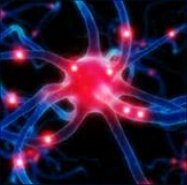 Our thoughts and feelings are immediately translated into amino acid strands in the body, altering cellular function and genetic sequencing. Our thoughts – literally—change our DNA for better or worse. Our mind has the power to activate and deactivate genetic sequences. Dr. Ryke Geerd Hamer , in his work with over 10,000 patients with cancer, found that each one had, within the previous three years prior, a severe unresolved emotional trauma. As soon as the trauma was identified and resolved, the cancer also heals. This held true for all illness’. He also found that our immediate emotional reaction is the link for illness – if we react immediately, we get sick: if we don’t react, we don’t get sick. 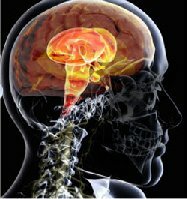 It is our reaction that is the problem – demonstrating that controlling our immediate reactions is the key to health. Aging and illness are the result of wearing down the body by toxins and negative emotions clogging the body’s receptors so that they are unable to absorb nutrients with which to function properly. Acting on our negative emotions creates a mess. Spiritual teachings say the same thing— restrict our reactive behavior, change our patterns to break out of our programmed system. These, as well as some meditative and natural health techniques help us to break the energetic block those old patterns have over us. You know that rush you get when you figure out why you do something or finally manage to act differently? That is this energy being released. Each painful situation that comes into our lives teaches us something. By understanding our own triggers in the situation, the pain becomes easier and productive. Babies are born with all their brain neurons working, connected to the Source, the endless spiritual worlds. For a baby to begin functioning in this world, his/her own reactive patterns develop in response to life, and the brain pathways narrow. This also works in reverse: as we remove our programming, we reconnect to the full power of our brains, the Endless and unlimited potential. Our DNA works on many levels: it functions physically, but also energetically through the emission of energy photons. The more we remove the negative emotions and change our patterns, the stronger and more frequent our inner DNA light photons are. 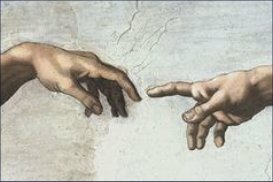 We literally become “beings of light” as we disconnect from our programming and connect to the Light. So back to Immortality! Immortality means removing our negative emotions and matrix programming. We connect to the Source, revealing our soul’s true nature of love, peace and unlimited potential. Since we will have learned from the negative situations and changed ourselves, there will be no more need for painful life experiences. We flow in tune with the universe. Immortality means we will have an illness-free happy ever after. And once this happens on a global level, there will be few negative emotions and no desire to harm to each other. The world transforms into heaven on earth and the joy of life returns. I just sent this article to my 95-year-old father (whose mother only died at 101 because she quit eating) to ask him what fabulous words he’s used to fix his DNA.